For our services, third-party cookies might be used. By continuing navigation, you accept usage of cookies. Thanks to our foreign correspondents, we are in position to provide global assistance in over 150 jurisdictions. With our foreign partners and correspondents we have developed a specific program to assist Italian and foreign companies to grag the opportunities of the OBOR initiative. We deal with the handling and management of litigation in the corporate domain, and actions of liability towards the corporate bodies. In addition, we provide consulting and assistance for the establishment of companies and fulfillment of law and regulations, as well as for splitting, merging, public bidding and exchange deals. 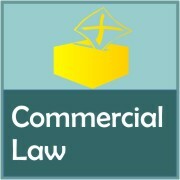 We cover most of the aspects within commercial law. In particular, we provide advice and assistance on actions to protect from unfair competition, on the establishment of companies and their management, as well as coverage for any extraordinary transactions and corporate finance deals, including debt issuance. 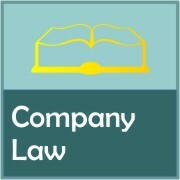 Our law firm is fully involved in the area of contracts, of any types. 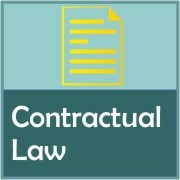 In particular, we provide advice on drafting and reviewing contractual texts, as well as assistance during negotiation and performance phases. We handle contractual disputes and safeguarding actions at every venue. 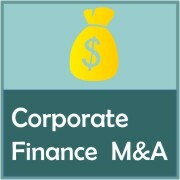 In M & A and corporate finance areas we provide integrated support: thanks to collaborations and international networks, we facilitate the search and selection of counterparties (even overseas) for acquisitions and divestments of companies, branches and participations. We assist in drafting documents (memorandum, NDA, LOI, MOU, SPA, etc. ), during negotiations and, in case of dispute, we look after the actions needed. 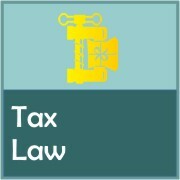 We take care of tax litigation at all stages, from assistance during access, inspections and tax audits, in settling tax agreements, in proceedings by the Provincial and Regional Tax Commissions. We cover more than 150 countries in international issues (permanent establishments, conventions against double taxation, CFC, transfer-pricing, etc.). 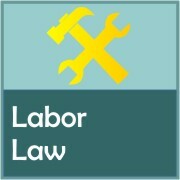 We follow employers and their professionals for all matters concerning labor law and security: defense in labor disputes, support and advice for business transfers, litigation with the inspection bodies and social security institutions, assistance during access, inspections and audits, defense for administrative and criminal offenses. We are one of the few of small size law-firm with the ability to act at 360° for the assistance and protection in many areas of activity, and this both in the domestic as well as in the international domain. The business today knows no borders, and we also have an increasingly international vocation: the ability to ensure legal assistance in over 60 foreign countries makes us unique. Our study is based on the concept of legal boutique, with a structure geared to the specific needs of customers so that we can help each customer to better address its legal issues. We can do it because we guarantee our ability to manage all types of operations: we will always be your partner, striving to maintain competitive rates and ensure a quality of work that will be, always and everywhere, the one you're used to have with us. We can follow you with precision and punctuality, interacting with your internal structures, providing assistance in all phases of the operations that you want to undertake. Thanks to our team of professionals, we can assist and advise clients properly in many areas of law: we really know the specific needs of your industry. We have developed specific models and methods of care able to prevent risks and reduce the attackable surface area in legal terms, reducing the level of vulnerability of the client companies, of their assets and of the people who work by them. Stay in touch: it's easy Visit the following URLs and add us to your contacts. Our main offices are in Sanremo (IM, Italy), but we assist businesses everywhere in Italy. In addition, we are able to provide global assistance in over 150 foreign jurisdictions.